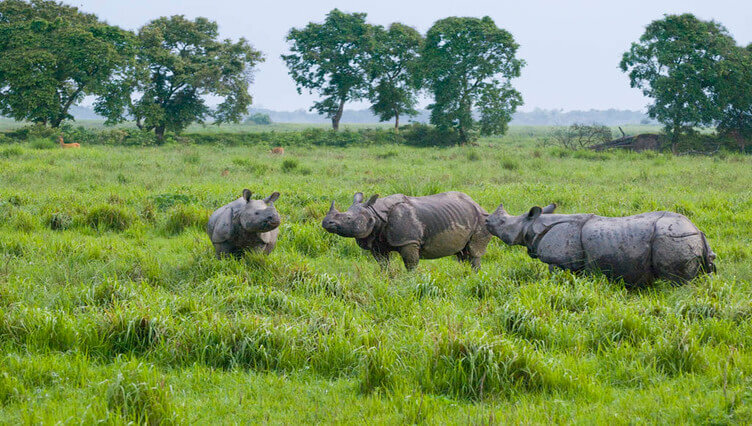 Assam Governor Prof Jagdish Mukhi on Saturday asked the law enforcing agencies to be on their toes to thwart recurrence of any inter-state border issues and incidents of poaching of rhinos in Kaziranga National Park. While chairing a review meeting at the conference hall of Golaghat Circuit House, Prof Mukhi said that Assam has earned its name and fame worldwide because of the Kaziranga National Park and its precious one-horned rhinoceros. “Indiscriminate killing of the rhinos by the poachers is not only an attack on the creature, it is an attack on the pride of the state,” he said adding that though incidents of poaching over the months have reduced drastically, the security agencies however, must be on their toes to foil any nefarious design to harm the rhinos. Prof Mukhi also asked Superintendent of Police Golaghat Manabendra Dev Ray to ensure complete harmony along the boundary areas that the district shares with other state. He also hailed the efforts of all the contingents of the security forces that are on duty in the district for maintaining highest order of peace and normalcy in the district. The Governor also asked Deputy Commissioner Gaurav Bothra to ensure doubling of farmers’ income and took note of prevailing agricultural practices in the district. He directed District Agriculture Office to shift their importance to cash crop so that farmers’ income takes the drivers’ seat. Prof Mukhi also asked the machinery of district administration to make proper arrangements for cold storage and proper transportation facility to take the agricultural produce to the end users. He also said that the region has occupied the centre stage for the success of India’s Act East Policy as the country’s relations with the ASEAN and BBN nations would not be possible without Assam and other North Eastern states.